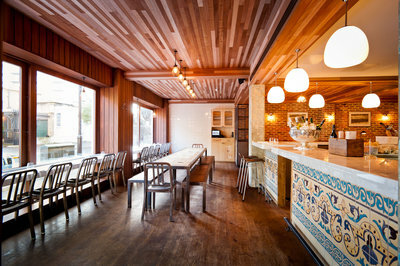 There is a Spanish food revolution happing in London and leading the pack is Jose Pizarro. Last year, he opened Jose Tapas, an authentic tapas and sherry bar, and followed it up with a sit down restaurant called Pizarro. In recent months, he has gone from strength to strength; publishing his second cookbook, launching a new tapas food stall at Maltby Street market and winning Restaurant of the Year for Pizarro at the prestigious Food and Travel Magazine Reader Awards. 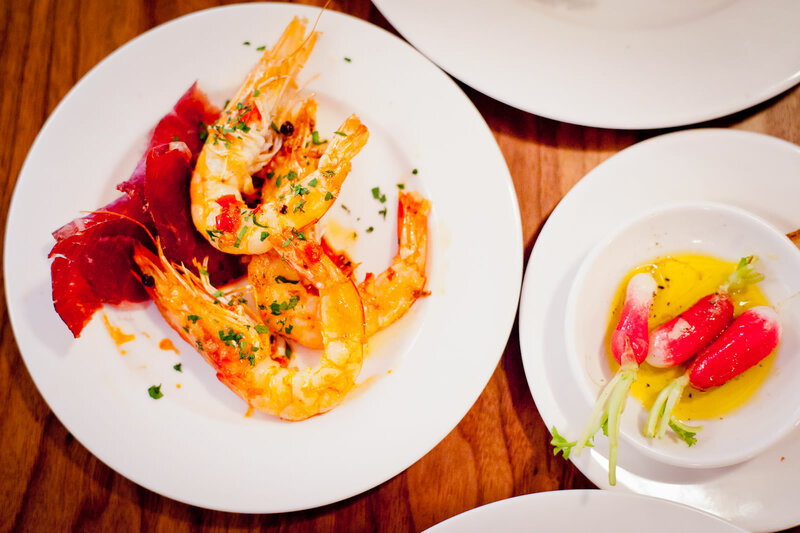 After a recent trip to Pizarro one thing was certain; the restaurant is more than deserving of this award and I hope it goes on to win many more. The food was sublime and the relaxed dining experience and wonderful service made it exactly where I wanted to be eating. All good meals start with fizz, and after a couple of Cavas I tucked into an epic dinner at this fabulous restaurant. Both starters were chosen from the specials board. First a simple dish of octopus potatoes and pimento. The octopus was perfectly cooked and sat on a bed of unbelievably rich mashed potatoes, which had been beaten to a waxy pup with olive oil. A dusting of bright red pimento gave a wonderful smoky flavor without taking anything away from the octopus. We also had a heavenly surf and turf dish of Iberico pork meatballs and cuttlefish. The meatballs were as soft and tender as any meatball could be and the small pieces of chewy cuttlefish gave a brilliantly contrasting texture. 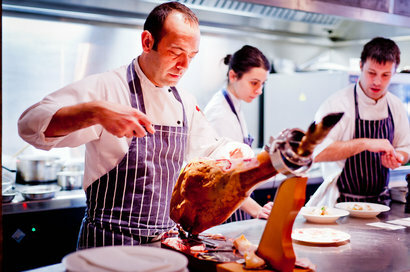 For our main courses we carried on the pork theme with Iberico pork presa Jerusalem artichokes and pear puree. Our lovely waitress, who described Iberico presa as the best bit of the best pigs, reeled me into this sublime dish with her knowledge of the menu. The pork was served pink, seasoned to perfection and tasted of the outdoors. Along with the pork we had beef cheeks with pumpkin puree, which fell apart at the touch of a fork into a slick of rich winey gravy. This was the best beef cheek dish I have ever eaten and I hope it will be on the menu at my next visit.